New uprising Canadian artist & producer Kietell is set to make his splashing return on Trend City Radio. The hit single “Obtain These G’s” have helped Kietell chart the Trend City Radio countdown before on several occasions. He first debut the hit single late last year as it received many votes & great feedback from the audience. “Obtain These G’s” is a single about Kietell & some of the experience's he’s had on this journey we call life. Dealing with doubters, disloyal friends, school, crazy work hours & more. Pushing yourself to the limits can sometimes be depressing, the one thing that keeps Kietell motivated to grind it all is the cash flow. His mission to “Obtain These G’s” is a must, waking up at 5:30am every morning to be certain everything stays in order. Kietell wrote & produced this single as he does much of all his music. His goal is to start his own label as his name gets known more & help independent artists get more exposure. He also plans to start a production camp for young producers trying to get into the music industry in the near future. 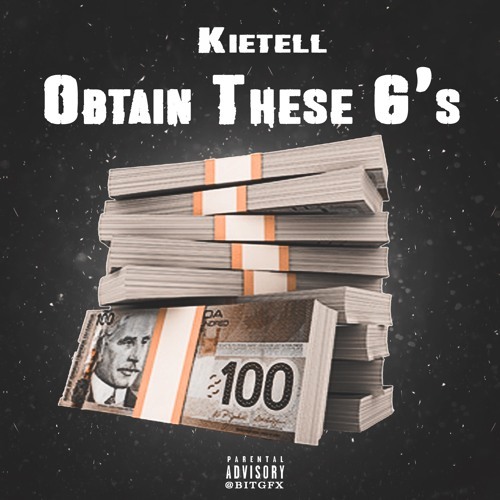 I rate Kietell hit single “Obtain These G’s” 5 outta 5 Flames! Click the link to check out the Single now on SoundCloud.